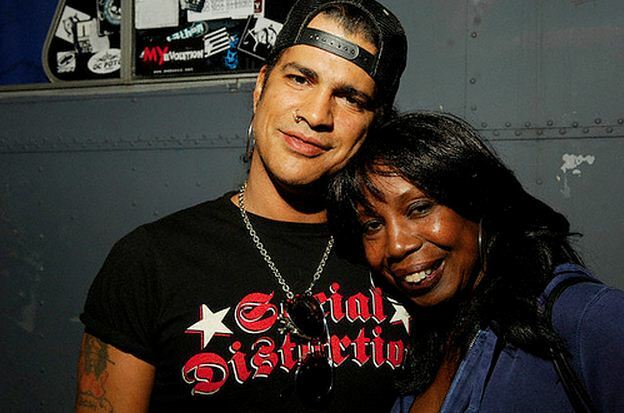 Slash has paid tribute to his "cool rock and roll" mother, who passed away last week. The guitarist credited Ola Hudson - who was previously a costume designer for a host of musicians, including Ringo Starr, John Lennon and Diana Ross, and once dated David Bowie - with keeping him grounded and says she was responsible for all his creative influences growing up. He wrote on his MySpace blog: "Hello all, as some of you may already know my mom (Ola Hudson) died 6:30am last Friday morning (05.06.09) of Lung Cancer. "This is a difficult time, but I have to share with you that she was the sweetest, warmest, most loving human being I've ever known (next to my grandmother on her side), as well as one of the most creative and talented. She was also the coolest Rock and Roll mom a Rock junkie like myself could ever possibly want to have. She was responsible for exposing me to a lot of the music that would influence me as a musician growing up. As well as introducing me to "the life" and priming me to survive this crazy business that I'm now in. "But more importantly, she turned me on to all different forms of art and the importance of artistic self expression and creative communication thru music and dance from as early on as I can remember. She really was all things artistic and creative personified and the world is a lesser place without her. (sic)"
The 43-year-old rocker - real name Saul Hudson - admitted he is still struggling to come to terms with her passing but thanked fans for their support. He added: "I still haven't grasped fully that she is gone and this is going to take some time to process. But, I have gotten a lot of really genuine condolences from many of you and I want to tell you that I appreciate it more than you can possibly know. My family and I thank you for your support." 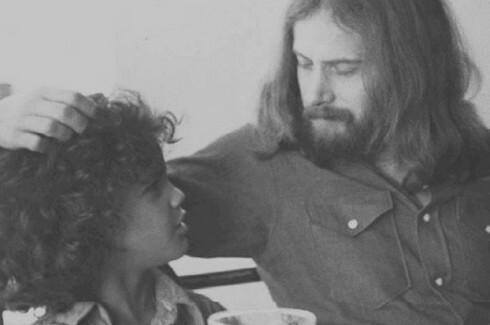 Ola, who was 62 when she died at Saint John's Health Center in Santa Monica, also had another son, Albion 'Ash' Hudson, 38, with ex-husband Anthony Hudson. Ola Hudson, 62, loving mother, cherished friend and creative spirit passed away after a battle with cancer. 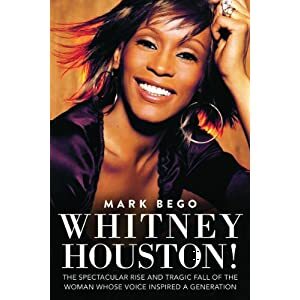 A native of Los Angeles, she was a life-long devotee of the arts, a passion that embraced all forms of self-expression from dance and fashion design, to theater, photography, music and poetry. Ms. Hudson had an extensive background in Dance and Theatre Arts studying with The Lester Horton School of Modern Dance, Bella Lewitzsky and Linda Gold in Los Angeles, The Institute of Dance in Paris, The Max Rivers School in London and Le Loft in Switzerland. 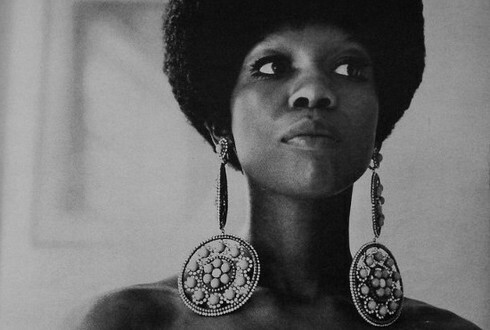 As an accomplished couturier and costumer, her clients included Diana Ross, The Pointer Sisters, Stevie Wonder, Janet Jackson, and John Lennon. A collection of the work she designed for David Bowie can be found on permanent display at New York's Metropolitan Museum of Modern Art. And she designed fashion collections for Henri Bendels in New York, Fred Segals and Max Field Blu in Los Angeles, Right Bank Clothing in Beverly Hills, and Neiman Marcus. 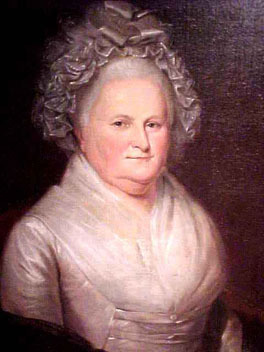 Ms. Hudson raised two sons, each of whom followed in her footsteps by pursuing a career in the arts. 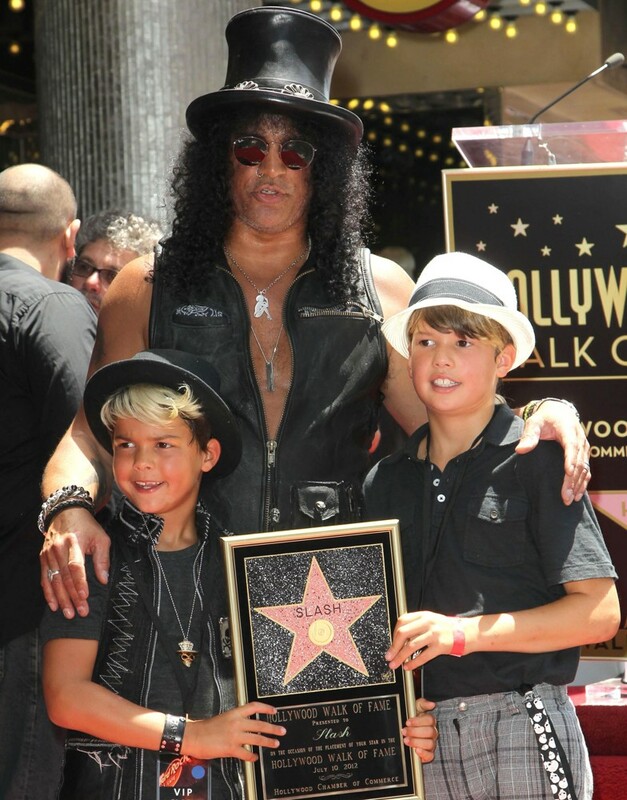 Her oldest son, Saul, is the iconic rock guitarist best known as Slash and her youngest son, Albion, Ash is the owner/creative director of Conart, a graphics and clothing company. In recent years, Ola has continued to share her performance art with new works of poetry, song, dance, design and photography. Some of her most recent performance pieces include, I Stand (published in Voices Magazine) and Testimony (dedicated to the tragedy in New Orleans). Her photography has been featured in Fred Segal, West Hollywood. She is a dedicated member of the Board of Directors at Westside Regional Center for the Handicapped. And recently, was nominated by Santa Monica College as a Distinguished Alumni for Creative Consultation, Choreography and Costume Design for the College. Ola is survived by her husband, Anthony Hudson, sons, Saul & Albion Hudson, grandchildren, London & Cash Hudson and nephews Eduardo & Wayne Williams. A private memorial service is being held for family and friends. Enable social reading to share important obituaries with your friends. 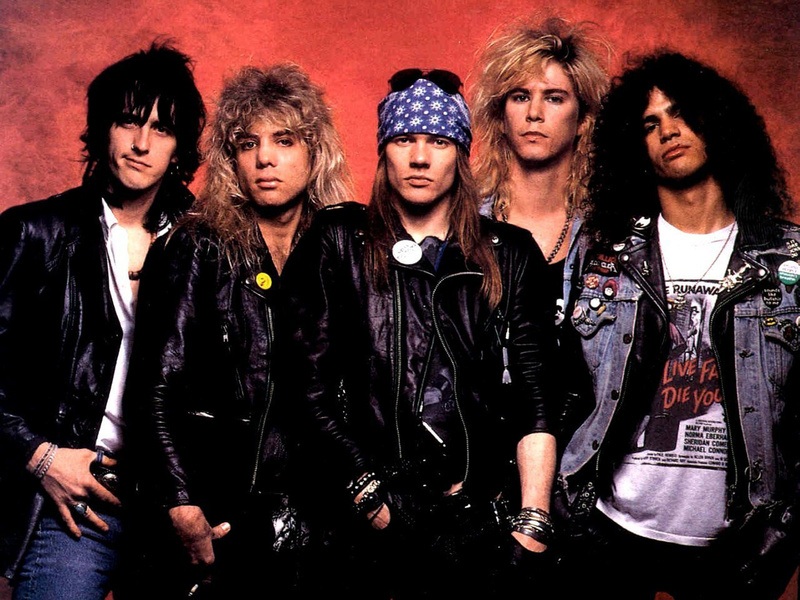 Costume designer Ola Hudson, who made outfits for the likes of David Bowie, John Lennon and Ringo Starr but is perhaps better known as the mother of former Guns N’ Roses guitarist Slash, has died after a battle with lung cancer, a longtime friend said. Hudson died at Saint John’s Health Center in the Los Angeles municipality of Santa Monica on Friday evening, according to Arlett Vereecke. She was 62. 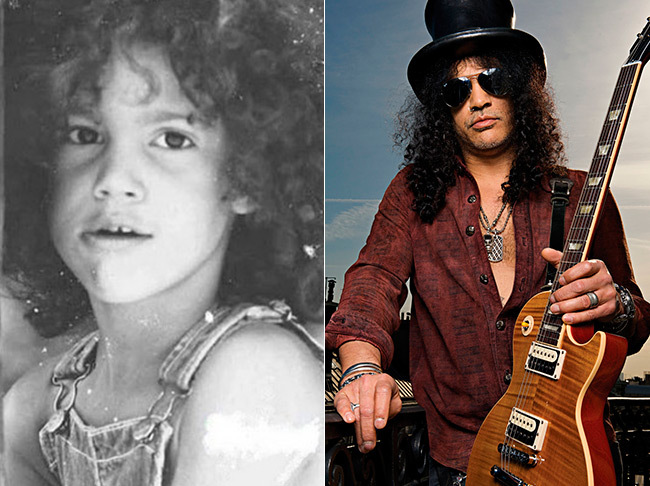 In addition to Slash, 43 – whose real name is Saul Hudson — she is survived by another son, graphic artist Albion “Ash” Hudson, 38, as well as her ex-husband, English artist Anthony Hudson. 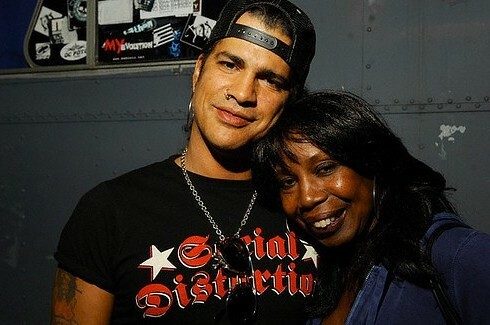 Son: London Emilio Hudson (b.
Slash’s mother, Ola Hudson, has passed away in Los Angeles after suffering a battle with lung cancer. Hudson passed away at Saint John’s Health Center in Santa Monica on Friday evening. She was only 62-years-old. She is survived by sons Slash, 43, Albion, 38, and ex-husband, Anthony Hudson. Our best wishes go out to Slash and his family in this tough time. May she rest in peace. 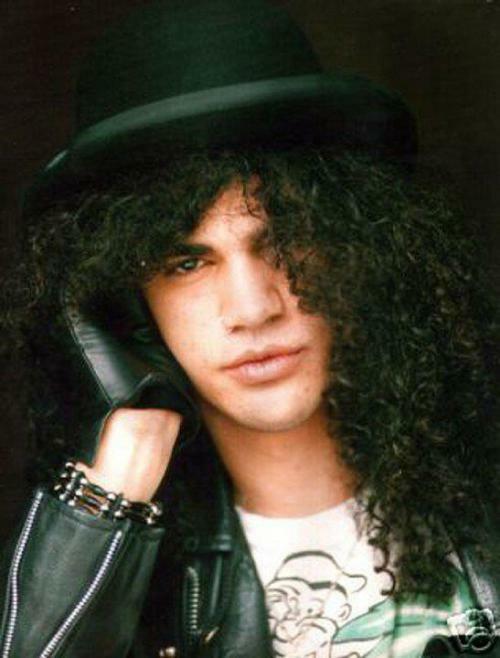 Saul Hudson was born in Hampstead, London. His mother, Ola Hudson (born Oliver; 1946–2009), was an African-American costume designer whose clients included David Bowie, and his father, Anthony Hudson, is an English artist who created album covers for musicians such as Neil Young and Joni Mitchell. 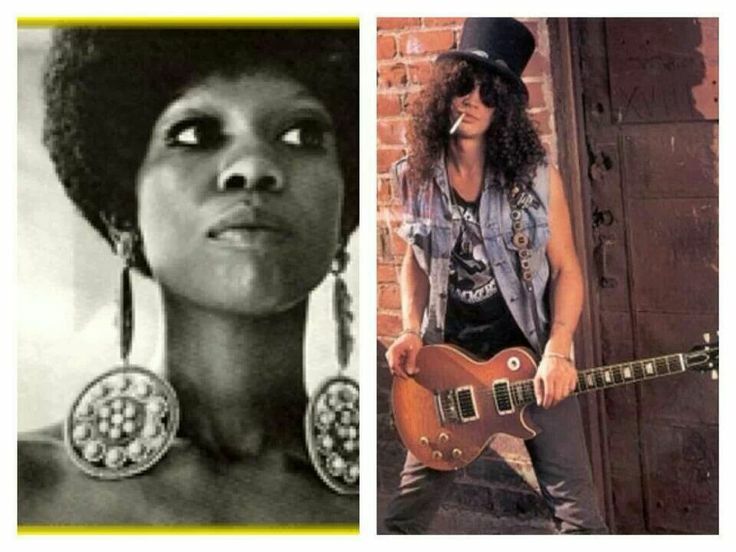 Contrary to several reports, Slash's mother was not Nigerian, nor is his father Jewish. 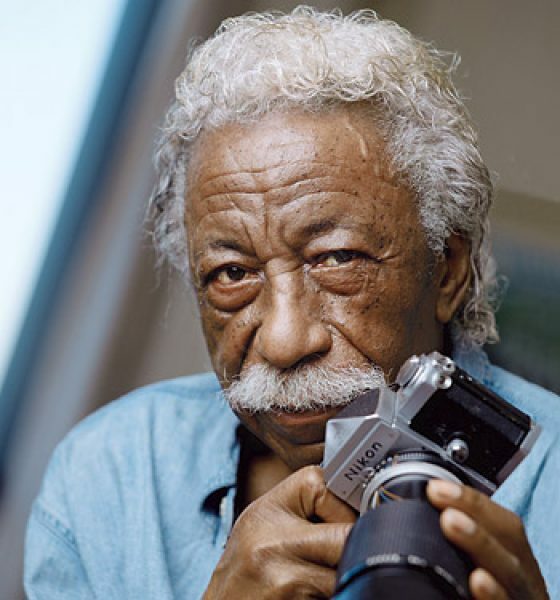 Of his mixed background, Slash later remarked, "As a musician, I've always been amused that I'm both British and black; particularly because so many American musicians seem to aspire to be British while so many British musicians, in the sixties in particular, went to such great pains to be black."